Charley turned to see the incorrigible flirt, Trevor Mulligan, relieving himself next to his pickup truck in a far corner of the parking garage. The good old boy from Tulsa couldn’t carry a tune to save his life, but he could write a hit song like nobody’s business. They strolled half a block down Second Avenue, serenaded from every open door they passed, to reach their destination. The line for the popular country venue stretched to the corner at Broadway, where another four blocks of honky-tonks welcomed natives and tourists alike. Eager two-steppers, perspiring beneath their cowboy hats, waiting anxiously to sweat even more on the enormous Wildhorse Saloon dance floor. As Ruby and Charley slipped through the entrance, calls of “We love you, Ruby!” and “Why are they cutting in line?” penetrated the stifling humidity. Being semifamous to the locals did not mean tourists gave two bits who you were. “Nope. Ruby and I walked in a few minutes ago.” Charley had no idea how Matty had skipped the line but assumed she’d charmed a bouncer while flashing her radio station credentials. Black cowboy hat, intense blue-gray eyes, and a scruff-covered chin straight out of a high-fashion magazine topped a slender, yet muscled frame. The slight crook in his nose was the only visible flaw, but it added character to what might otherwise have been considered a too-pretty face. As he spoke to the man beside him, full lips parted to reveal straight white teeth, and Charley couldn’t look away. Interest stirred as Ruby’s words floated through her mind. A woman needed a man to light her fuse now and then. Justin has long carried a torch for Abby. But after she got married ten years ago, he put her out of his mind, left Ardent Springs for Chicago, and got a job as a real estate developer. Now he’s back—for reasons he’d rather not share—and he wants to prove to Abby that age is nothing but a number. Will Abby’s reluctance and Justin’s secrets extinguish any attempts at romance? 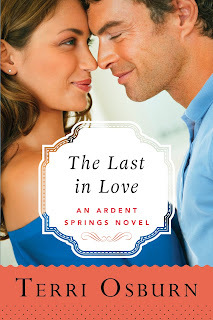 Or will the sparks between them ignite a second chance at love? The heat of his grip penetrated the soft material of the thin coat. “I didn’t hear you pull up,” she said, easing away from his touch. A long night of no sleep provided plenty of time for Abby to come to her senses about this young man. Regardless of Haleigh’s goading and Abby’s neglected libido, Justin Donovan was entirely too young for her. Not to mention way out of her league. Men who looked like Justin dated model types, not boring widows. “Sorry about that.” He tucked his hands into the pockets of his low-slung jeans. Though she’d been on the verge of shivering, Justin wore no protection from the cold over his hunter-green button-down, which turned his eyes almost sage. “Do you want to go inside?” he asked. After unlocking the door, she led Justin into the house, lungs protesting the moment they crossed the threshold. Hand over her nose and mouth, Abby hesitated in the foyer. His determination to help her through this brought a smile to Abby’s face. They weren’t sneaking up on the boogeyman, for heaven’s sake. Time to woman up and stop acting like a wuss. Within minutes they had every window in the house thrown open, and as Justin had promised, the smell receded. Unable to put off the inevitable, Abby finally stepped into the kitchen and gasped at the sight before her. The back wall looked as if someone had taken a spray gun and painted the middle four feet coal black from the backsplash to the ceiling. The microwave rested in a melted heap on the damaged stove top, and doors of the upper cabinets swayed on their hinges. And then there was the water damage. Abby didn’t want to contact, let alone sue, a manufacturer. Nor did she want to deal with insurance companies and a construction crew in her house. All she’d wanted was a flipping cake. Smothering the urge to wave her fist at the sky, she instead walked to the fridge and beat her forehead against the stainless steel surface. Annoyed, she said, “You have your opinion and I have mine. If you want to date an older woman, that’s your prerogative, but that woman will not be me.” She would not embarrass herself by believing she could hold his attention for more than a few days, at best. Justin opened his mouth to argue when a knock at the front door cut him off. “Hello?” called a female voice. “We’re in here,” Abby said. Eyes still locked with his, she lowered her voice. “There are plenty of girls in this town, Justin. Don’t waste your time on me.” She stepped around him to greet the adjuster. 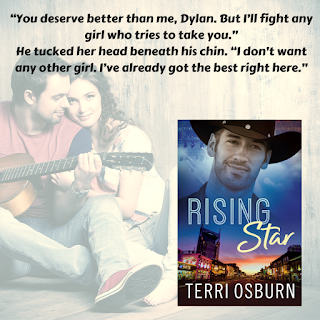 Terri Osburn writes contemporary romance with heart, hope, and lots of humor. 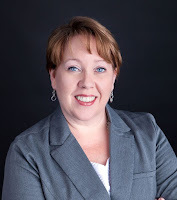 After landing on the bestseller lists with her Anchor Island Series, she moved on to the Ardent Springs series, which earned her a Book Buyers Best award in 2016. 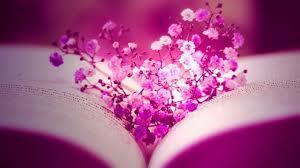 Her work has been translated into five languages and sold more than a million copies worldwide. Her new series is set against the glittering and gritty world of the Nashville music scene and kicks off with Rising Star, available now. Terri lives in middle Tennessee with her college-student daughter, four frisky felines, and two high-maintenance terrier mixes. Learn more about this author and her books at www.terriosburn.com. Or check out her Facebook page at https://www.facebook.com/TerriOsburnAuthor.